Seattle Center, Fisher Pavilion, 305 Harrison St., Seattle, Washington 98109 Free Admission. 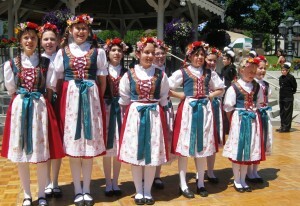 Young Polanie will be performing at the Seattle International Children’s Friendship Festival on Saturday April 11 at 2:30pm, with a medley of song and dance. All children and parents are invited to visit an interactive cultural display with information about Poland, on both days the festival April 11 and April 12 from 11am-5pm. The International Children’s festival features performances by the children highlighting their ethnic heritages. World cultures are represented through music and folk dances to foster friendships and international understanding. The Polish display and participation is sponsored by the Consulate of Poland in Seattle with support from the Polish Home Association, UW Polish Studies Endowment Committee, Polish Schools in Bellevue and Seattle, and volunteers from the Polish-American community. 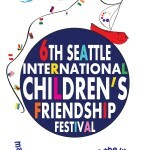 SGSCA is proud to be part of the Seattle Sister Cities who in turn help sponsor this great event that is created BY children FOR children.